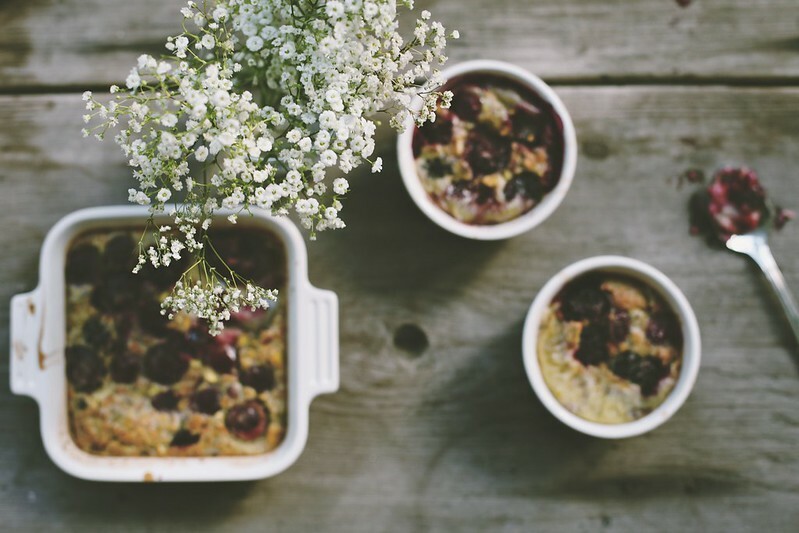 Cherry Clafoutis sounds intimidating. Fancy, even. And still after making one, I'm not sure how to pronounce it. 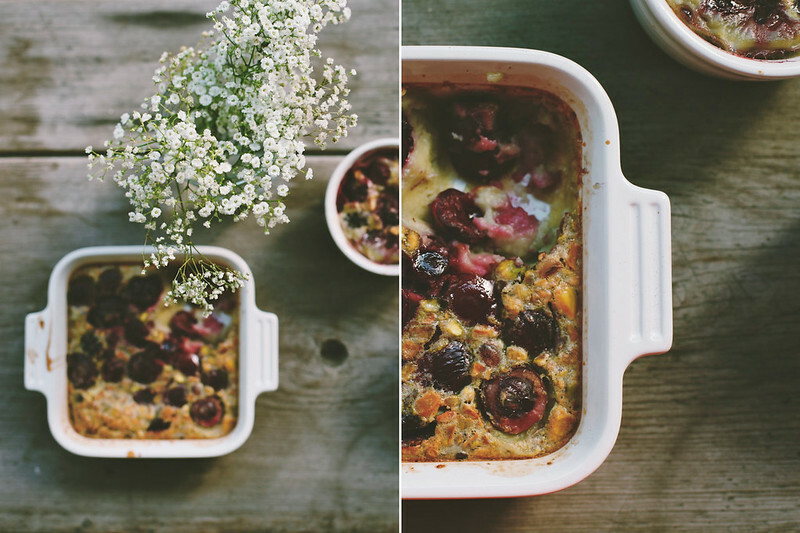 But I love the way it looks -- there's something nostalgic-feeling about it -- and it reminds me of dreamy days in la Dordogne with Aran, who this clafoutis was inspired by. 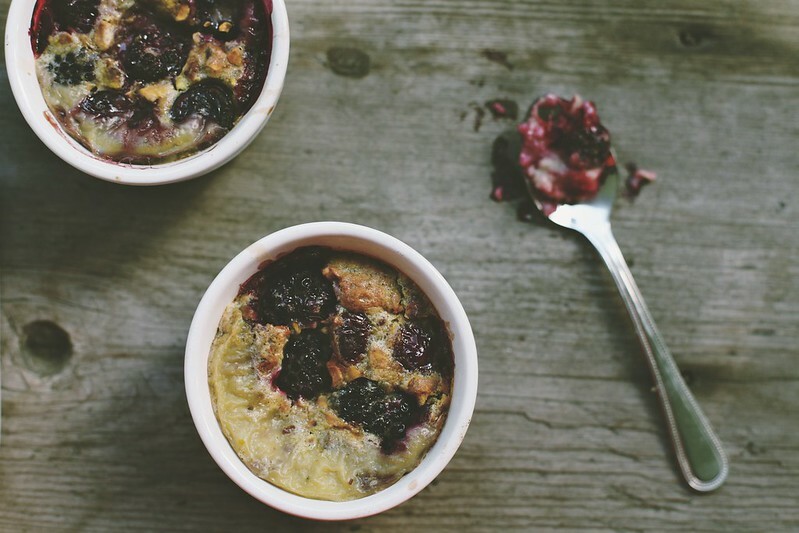 Simple, pretty, summertime treat.